When Jonathan Lachs and Susan Marks, the winemakers and owners of Cedarville Vinyard, first met as undergrads at UC Davis, neither one of them really thought they would open up a winery together someday. The pair hadn’t enrolled at Davis specifically to learn about wine as so many people do. Instead, it was during their time at the university that they each discovered their love of viticulture and wine. That mutual passion brought them together and they’ve been that way ever since. Of course, the path to opening up Cedarville wasn’t smooth sailing. After graduation, they were able to find employment in the industry but the work wasn’t always consistent or fruitful. Much like today, there was a national recession and Jonathan and Susan found themselves facing the unfortunate realities of such a downturn. After a time, the pair realized that continuing to work in wine simply wasn’t economically viable. Luckily, they were both able to get jobs working in Silicon Valley. So while money was less of an issue, they missed doing what they loved. Thus, right from the start, the pair began working towards getting back into growing grapes and making wine. 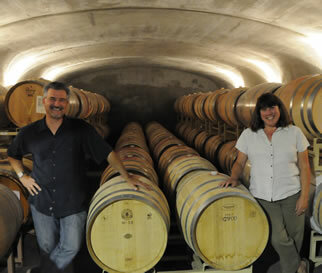 Part of Jonathan and Susan’s vision of their winery was to make sure it was sustainable. Concern for the environment had long been part of the pair’s thinking, so producing their wine in an environmentally friendly fashion was an obvious route to take once they had the tools and the people to follow through. 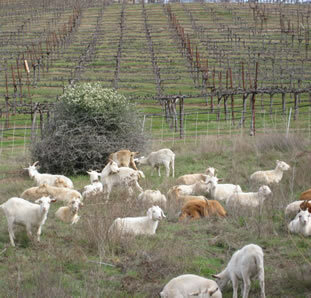 They adopted techniques such as using goats and manual labor to keep the vine rows clear of weeds rather than relying on chemical sprays. They elected to build their cellar into the side of a hill so the temperature would remain consistent without needing a heating and cooling system. Their dedication to being fine stewards of the land stems from wanting to preserve the special nature of the place, and that mindset follows suit in their wines. Each varietal, while unique, shares a particular character, one reminiscent of the ground the grapes came up from. The wines are not really fruit-driven; rather, their fruity components are in balance with brighter and minerally aspects. 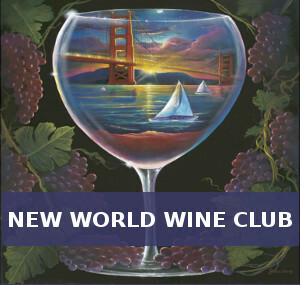 It results in a fine complexity, which seems to be harder and harder to find in California wine these days. However, as with many plans, things didn’t work out on an efficient time-line. 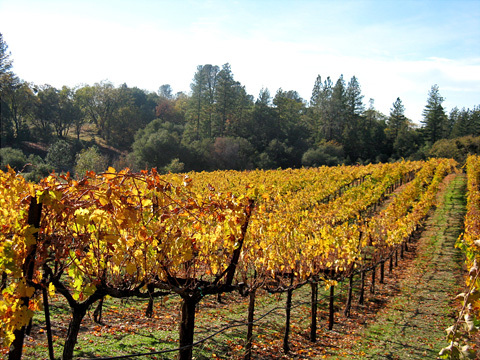 Saving enough money along with finding the right site and completing all the necessary steps to start a winery was a fifteen year process. Picking the right spot took several years. Jonathan and Susan looked at spots in the Santa Cruz Mountains and the Dry Creek Valley but ultimately settled on the Fair Play area in El Dorado County near the Sierra Nevada mountains. They had visited years before and had been struck by the bucolic nature of the land as well as the wines, which combined a unique old-world and new-world character. They also saw a great deal of potential in the region as a prime wine producing spot. Since wine brought them together in the first place, it’s only fitting that wine keeps them together now, and hopefully, for all our sakes, it stays that way for a long time to come. What a wonderful story. College sweethearts opening a winery together. I'll have to check them out if I have make it up to the Sierras again.